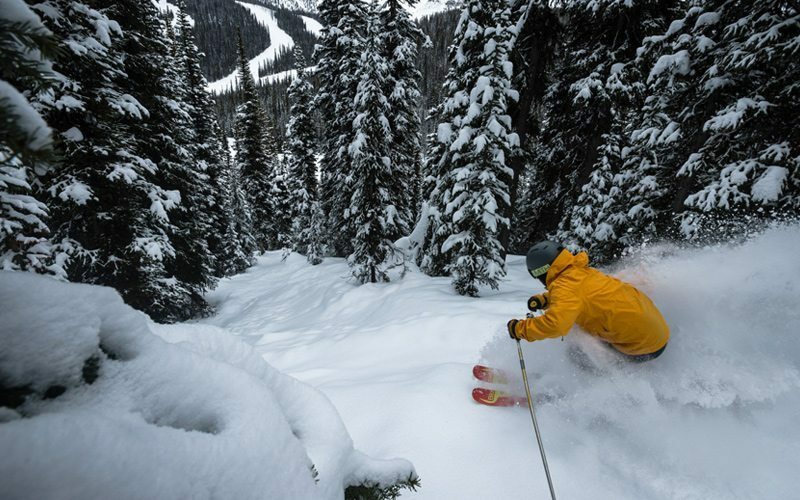 If you’re longing to satisfy your snow-lust at the world-class ski hills of Banff & Lake Louise, we have good news for you! You’re spoilt for choice between 3 breathtaking local resorts – Banff Sunshine, Lake Louise Ski Resort and Mt Norquay. Even better news? You can easily enjoy them all with the one lift ticket! 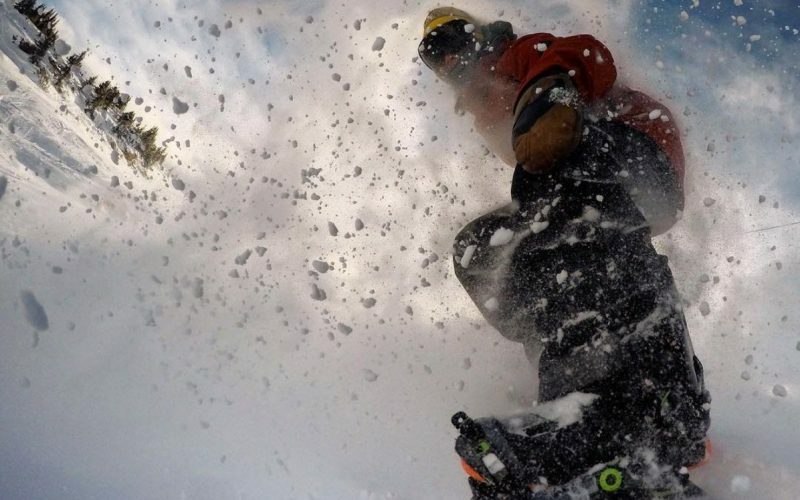 Here are 7 ways adventurers get more powder for their pennies with a SkiBig3 Lift Ticket. With a SkiBig3 lift ticket you can choose your ski resort each day according to the snowfall! 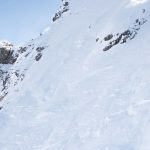 Banff Sunshine might receive the biggest powder dump on one day, then Lake Louise or Mt Norquay on the next. Enjoy the flexibility of waking up in the morning and going where the weather forecast is Pow-Town! Tip: you can keep your finger on the mountains’ pulse by checking the SkiBig3 ski conditions and snow reports. These are updated daily by 7:30am throughout the ski season. Image via @lukesudermann on Instagram. Does sipping post-slope cocktails and leaving the driving to someone else sound like your style? Then you’re in luck: a regular ski shuttle service is included free of charge with your SkiBig3 lift ticket. 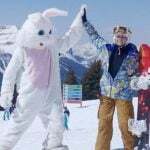 Daily shuttle services run from selected hotels and convenient pick up locations throughout the towns of Banff & Lake Louise – so you can enjoy your après in the knowledge that your transport is sorted! Everyone loves a good deal, and the benefits of your SkiBig3 lift ticket go far beyond the hill. 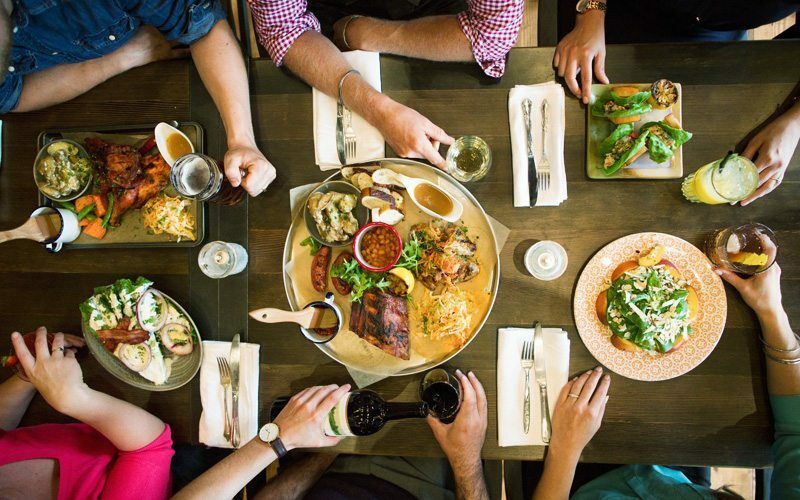 From decadent dining and drink deals, to spa treatment and gear rental discounts, you’ll get more bang for your buck with special offers at many local favourites. 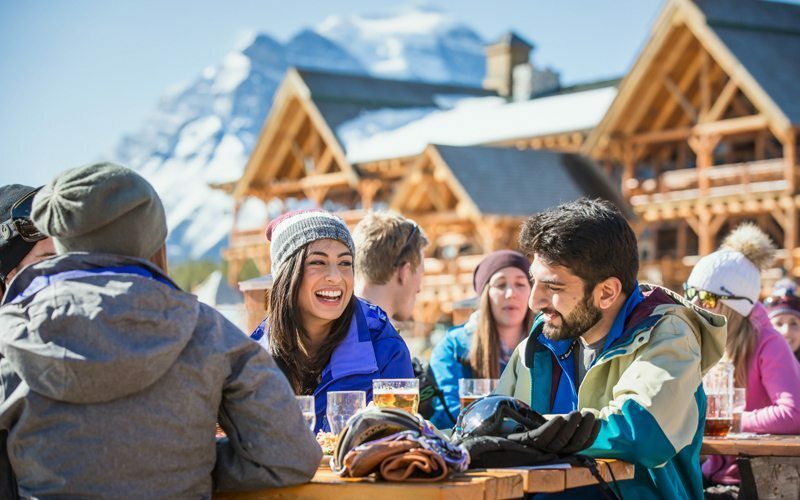 Here’s a taste of some of the perks you can look forward to with a SkiBig3 lift ticket purchase: discounts at the SkiBig3 Adventure Hub, Cedar & Sage Co spa and massage, Toque Canadian Pub, Banff Tea Co, and savings on skate and snowshoe rentals with Banff Adventures. 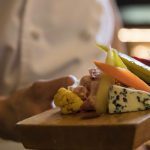 At the resorts, you’ll enjoy food and beverage deals at establishments including Lone Pine Pub in the Cascade Lodge (Mt Norquay), Northface Bistro, Kuma Yama Japanese restaurant and Sawyers Nook (Lake Louise), and Creekside Restaurant (Banff Sunshine). Look out for a full list of perks when you receive your SkiBig3 lift ticket. 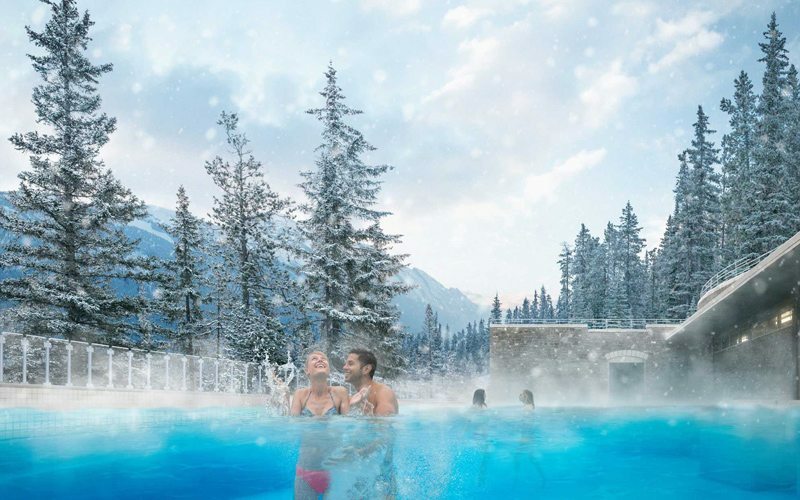 Buying a SkiBig3 lift ticket for 3 or more days gets you a complimentary pass to the world-famous Banff Hot Springs, and the renowned Whyte Museum. It also gives you the freedom to use the 3-day ticket over 5 days. So, if you select a 3-day lift ticket which includes 2 grace-days, you can ski for 3 days in total and enjoy 2 rest days within that 5-day window. Multi day tickets save you money – the more you ski the less you pay per day! And, when you purchase your SkiBig3 lift ticket online 21 days (or more) prior to arrival you can save even more! A SkiBig3 lift ticket is your golden ticket to avoiding major FOMO (fear of missing out). This sought-after pass gives you access to 3 iconic resorts: Banff Sunshine, Lake Louise Ski Resort and Mt Norquay. The three resorts boast a combined 8,000 acres of skiing, 2 gondolas, 26 chairlifts and 334 named runs. At each unique resort you’ll discover a snowy smorgasbord of activities, including skiing, snowboarding, tubing, snowshoeing, alpine dining and après options – so you’ll never run out of things to see and do! 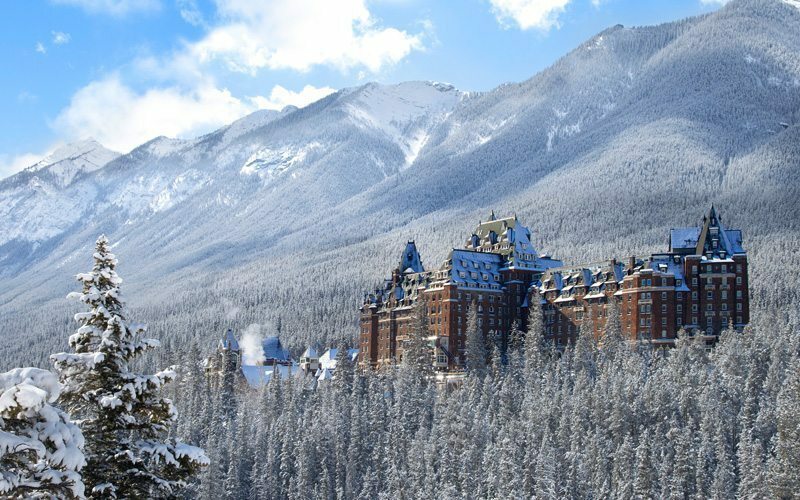 Known for its dry champagne powder that lasts all season — from November until late May — Banff Sunshine boasts the longest snow season in the Rocky Mountains. Enjoy the scenic gondola ride to the top of this mighty mountain where you’ll find some of Canada’s best powder and favourite resort atmosphere. Banff Sunshine is located on the spine of the continental divide, so you can ski in two provinces while enjoying endless views of the Rockies. The breathtaking scenery and unbeatable runs at Lake Louise make this resort a pow-lover’s paradise. 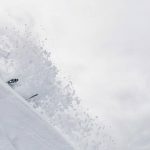 Lake Louise is particularly well-equipped for intermediate to advanced skiers and riders, boasting an abundance of blue, black and diamond runs across 4,200 acres. Breathtaking scenery of glaciers and some of the highest peaks in the Rockies is the icing on the cake! Looking for a relaxed vibe that’s perfect for the whole family? Mt Norquay is a must-do! Just five minutes from the town of Banff, Norquay is head of the pack for ease of accessibility. Don’t miss the views from the Cliffhouse Bistro, a must-see when visiting Norquay. Don’t worry, if the black diamond runs from this lift are too much for your legs, you can enjoy a chair-lift download. Hit the slopes early to maximise your powder-shredding and corduroy-cruising time before heading over to Tube Town, the most exciting tube park in the Rockies. Tubing is included as part of your SkiBig3 ticket, just head into Guest Services to pick up your special tubing ticket. Reached the end of a powder-filled day at Banff Sunshine or Lake Louise, then decided you want to hit a few extra runs after dark? 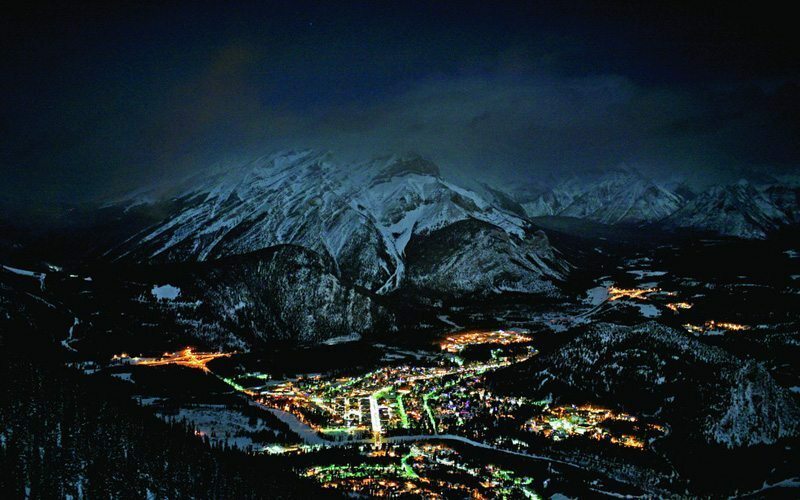 A SkiBig3 lift ticket allows you to continue the carve-on with night skiing at Mt Norquay every Friday night in January, February and early March. And the best part? You’ll have ticked two resorts off your list — and it’s considered only one day on your lift ticket! Want to feel like a VIP? 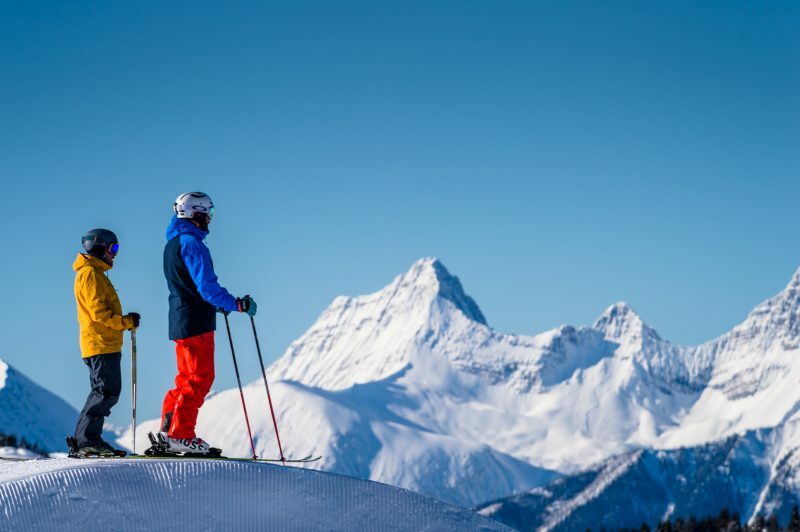 If you book your SkiBig3 lift ticket in advance, we’ll deliver your tickets directly to your hotel. This way you can spend less time queuing ­– and more time carving! You can easily purchase your SkiBig3 lift ticket online. Tip: if you’re a first-time visitor to Banff & Lake Louise, our travel checklist might also come in handy. Don’t forget to share your adventures with us by tagging #SkiBig3 and #MyBanff! 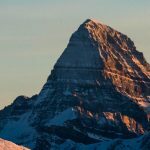 To book your next ski vacation with SkiBig3, check out our featured ski and stay vacation packages or call us at 1-844-754-2443.